In this guide, I’ve put together everything you should know about SmartyDNS support for global streaming of Netflix from different country regions in 2019. And most importantly, how to get it working.. reliably! First and foremost, SmartyDNS does not support Netflix at all. But not to worry! You can still watch Netflix. Perhaps you like SmartyDNS, and their easy, modern service as much as I do, but either way — if you want Netflix, you need to do business elsewhere. If you want to video stream the USA version of Netflix — you are in luck. Because the popular “Smart DNS Proxy” service offers that. Why in luck? They are even cheaper than SmartyDNS, very reasonable in fact. Plus they have been in business for long and provide a reliable, fast connection to movie, series and documentary lovers alike. Check them out. Or if you are looking for Netflix support in other country regions, check out none other than “OverPlay DNS” services. Which are pricier, but deliver. Both Smart DNS providers have stated plans for expansion of their Netflix region support. But this is likely to still take a very long time, as support is not easy. 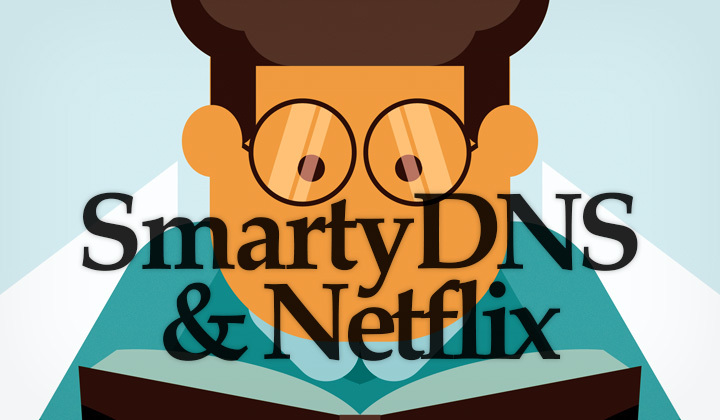 One of the big reasons why SmartyDNS has decided to pass on serving Netflix fans. Looking at the list however, it’s obvious which provider will remain strong in this area. Besides that, SmartyDNS provides one of the most easiest to use services, with an easy one-click connection client. Something that no other provider has. Still interested in giving SmartyDNS a go with other channels? Click here to grab a free trial of SmartyDNS! Good luck unblocking Netflix regions in your country! Questions as usual welcome on SmartyDNS, and their services? Boring notice but worth noting, that some of these posts contain affiliate links. This means, that clicking onto external sites could support this blog with financial means. Thank you & warmest regards, David.